This article discusses 57 common interview questions, answers and examples. It gives tips on how to answer questions that are likely to be asked in interviews.. The best practice for answering common interview questions is to prepare ahead, think carefully about your answers, internalize and personalize your answers and deliver them in a genuine and enthusiastic way. You do not want to sound rehearsed, unenthusiastic or inauthentic when responding to interview questions. The way you respond to interview questions and what you say, gives the interviewer clues and insight about yourself. It either elevates you as a candidate or diminishes your prospects of getting a job. The hypothetical examples used in this article are for illustration purposes only and may not reflect your unique interview situation, background or circumstances. It is unlikely that you will be asked all these questions in one interview however, it is helpful to know, anticipate and prepare for the questions. It is always prudent to over prepare when it comes to interviews rather than under prepare. (a) About yourself, (b) Your work experience, (c) About the job, (d) About the company, (e) Your working style, (f) Your problem solving abilities, (g) Your reputation, and (h) Interview concluding questions. I wish you the very best wishes as you prepare for your interview as well as when you attend your interviews. You can quickly skim all the 57 interview questions on the table of contents below then click on any question to read the answers and examples. Please enjoy reading. Thank you. 2. What are your major skills? 4. What are your major strengths? 5. What are your major weaknesses? 6. What are your major accomplishments? 7. What are your educational qualifications? 9. Where do you see yourself in the future – in 5 years, 10 years etc? 10. What are you looking for in a job? 11. What are your hobbies or interests outside work? 12. What experience do you have for this position? 13. What did you like most about your last job? 14. What didn’t you like about your last job? 16. Explain a gap in your employment? 17. What is your greatest career achievement? 18. What additional training have you done to improve yourself? 19. Which of your former jobs did you like most and why? 20. Which of your former bosses did you like most and why? 21. Give an example of your leadership skills? 22. What is your management style? 23. How did you learn about this position? 24. Why are you applying for this job? 25. What is your understanding of this position? 26. What new ideas would you bring to this position in your first 90 days? 27. Are you willing to travel? 28. Are you willing to relocate? 29. Why do you want to work for this company? 30. What do you know about our company? 31. Who are our competitors? 32. What is your typical workday routine? 33. How do you handle disappointments? 34. How do you handle conflict at work? 35. How do you deal with change? 36. How do you handle constructive criticism? 37. How would you describe your working style? 39. Do you prefer working alone or as part of a team? 41. What major problem have you solved at work? 42. What is your biggest mistake at work and what did you learn? 43. What is the greatest challenge you have faced at work? 44. When have you taken initiative at work? 45. How would you ensure that customers are happy? 46. How do you prioritize tasks? 47. How do you work under pressure? 48. How do you resolve disagreements with co-workers? 49. Who are your references? 50. What would your references say about you? 51. How would your former boss describe you? 52. How would your former colleagues describe you? 53. Are you interviewing for any other jobs? 54. What are your salary requirements? 55. When would you be available to start this job? 56. Is there anything else that we should know about you? 57. Do you have any questions for me/us? This question is a common ingredient during interviews. It is usually among the first questions asked after you have settled down and had any informal pleasantries or chit chat with the interviewer. Some of the nervousness around this question stems from lack of preparing for it and not thinking through what you want to say. Think in advance about your strategy for answering. Your key objective should be to provide a clear summary about what you have done and why it makes you a good candidate for the position. One way to answer the question is to begin by saying what your current title is, where you are working and the major responsibility that you handle. Then work backwards to mention a few relevant positions you have held. Briefly point out your educational qualifications and then tie it all together by saying that out of your work experience you have accomplished x and y which are essential for the current job you are interviewing for. It helps to practice your elevator pitch beforehand. This reduces anxiety when you are in the interview. You can write down your pitch then time yourself to see how long it takes. Aim to have it at between 30 seconds to 2 minutes. This is a reasonable length. Do not ramble endlessly about your entire life history. Remember to deliver your pitch at a moderate pace. Do not rush through. In addition, you do not have to repeat your pitch word for word. Simply internalize major bullet points and speak naturally. In fact during your practice sessions, you can write down your pitch in bullet points to help you as you practice saying it. You can also go a step further and record yourself as you say your pitch then play it back and listen to how it sounds. Do you sound convincing and enthusiastic? Keep tweaking it until you feel the rhythm, delivery and content sounds just right. “My name is Susan Klein and I am a Product Manager at Company XYZ. I have previously worked as an Assistant Product Manager at both Company ABC and Company DEF. I’ve done a Degree in Product Management. Out of my 8-year work experience, my greatest accomplishment has been to design, test and launch products in two foreign markets three months ahead of schedule and 25% under budget. I have made it my personal goal to take time to build solid long lasting business relationships with international suppliers, vendors and partners. I have even taught myself conversational foreign languages to break communication and trust barriers. I take pride in being able to negotiate production and distribution deals that save a lot of costs. Your potential employer is very interested in the value that you will bring to the company. One way to demonstrate your value is through the skills that you have acquired. Before the interview, ensure that you read through the job advertisement one more time to ensure that you remember the exact skills the company is looking for in a candidate. List down your skills alongside those required. The aim of this exercise is to ensure that you meet or even exceed the required skills. During the interview confidently discuss about the major skills that you possess and in addition give examples of how you have achieved positive results via your skills. If you have more skills than the minimum ones required, you can briefly mention that in addition to the skills needed for doing this job you also possess extra skills x and y which you have used in the past to accomplish a and b. You can also point out the level of your technical skills such as beginner, intermediate or expert. You could even point out extra certifications in your skills or the fact that you are a master trainer who trains others on specific skills. You can mention that in the past you have trained others on your skills and they went on to achieve sterling performance. Employers are interested in staff who are not only knowledgeable but also willing to train others. “My major skills are in the area of prototype designing for racing cars. I am an expert in designing and supervising the creation of real life molds for racing cars. This question asks about what makes you a great candidate for this job? Out of all the candidates who have applied and are being interviewed, what makes you stand out from the rest? This is where you put on your salesperson hat so to speak and get to work on selling yourself. Have a mental bullet point list of the top five reasons why you should be hired. Think about why it will be a good deal or advantageous for the company to hire you. Your reasons should focus mostly on the company’s needs and not what you want to benefit from the company. Mention things such as based on your experience and having worked with similar systems and processes as the company does, you are likely to settle in quickly and hit the ground running. Highlight how you work well in a team and your ability to support others to achieve shared objectives. You can say that in addition to the requirements that they are looking for you also bring additional expertise and knowledge that is relevant in the current rapidly evolving and competitive market. You can state that you were consistently ranked as a top performer and your output was almost twice as high as other similarly qualified colleagues. Point out that you are passionate about joining the company, you respect the way they conduct their business, their ranking in the industry, their products and services and you are eager to be part of their ongoing strategy and vision. At the same time highlight that you are eager to do a good job for them and back it with brief examples of good work you have done in the past. Your passion and enthusiasm should also be evident in your voice as you give your top reasons. That is part of the persuasion process. “I have always loved the world of fashion and your company is one of the most respected fashion houses in the country. I started my career as an Accountant then went back to school part-time to study Fashion Design. Four years later I made a career switch starting out at the very bottom of the fashion career ladder. Through my hard work, efforts and tenacity I have risen through the ranks in a relatively short period and I now support the digital content department for a leading fashion magazine. I have come up with concepts that have helped us reach previously ignored customer groups hence increasing subscriptions and revenues. I have even written fashion articles during my free time that have been featured in upcoming fashion blogs and magazines. This is perhaps one of the less difficult interview questions. Perhaps your only challenge could be that you have too many options to provide. There are two main ways of identifying your strengths: the first way involves self-awareness on an individual’s part to know and identify what they are good at and the outstanding traits that they possess. The second way of identifying your strengths is from third parties such as your boss, colleagues, family and friends. These are people who have worked closely with you and have observed how you perform under various circumstances. They are likely to have insights on what they think you are good at and areas where you excel. In addition, perhaps your boss or colleagues have complimented you on specific things that you do. Especially if different people keep complimenting you on the same quality that could mean it is one of your dominant traits. When you are asked what your main strengths are, you can describe yourself in one or more words such as organized, punctual, responsive, focused, dependable, resilient, resourceful, knowledgeable, flexible, proactive, competitive, decisive, creative, innovative, compassionate etc. Then think of an example or examples to support each of the traits above. The traits and examples that you choose should be relevant to and support the job you are interviewing for. It is best to have a mental checklist of your top 3 traits and short stories or examples to support these traits. Your short stories can mention things such as the problems that you have solved, revenue increased, processes improved, costs reduced, new ideas generated, new customers acquired etc. In addition, you can also describe your strengths using a functional work activity that you do very well such as coding, designing, driving, cooking, researching, investigating, reporting, writing, coordinating, analyzing etc. “I am organized, dependable and responsive. As an Executive Assistant to three very busy Vice Presidents, each of my work days is different and more challenging than the previous one. I ensure that all the VP’s calendars and appointments are properly booked, prepare draft presentations and reports on technical information, write and circulate accurate minutes in a timely manner and make local and international travel arrangements. I even stay up late at night to put out fires across different time zones when a VP is stranded in a foreign country that is 12 hours ahead of us or has last minute schedule adjustments. My supervisors have come to trust and depend on me for all their administrative needs and I have received numerous accolades from them over the past few years. The last thing you would want to do is to mention that you have no weaknesses. Nobody is perfect, everyone has one form or another of weaknesses. What is important is being honest with yourself and self-aware enough to know and acknowledge your weaknesses and take mitigating steps to either eliminate the weakness or take steps to keep it under control. When answering this question, you need to walk a fine line between being honest and being careful not to shoot yourself on the foot such as an outright weakness that can put a red flag on your chances of getting the job. “One of my weaknesses is being too quiet and socially shy. My supervisor even pointed this out as an area for improvement during one of my past performance reviews. She mentioned that it was very important for me to network and form strong social bonds with staff from other departments and I was challenged to attend more company-wide activities and proactively interact with others. Although it has not been a matter of flipping a switch and making an instant transformation from being quiet to an extrovert, I have been taking baby steps and putting myself out there, interacting more with others, striking up conversations, participating in company activities, volunteering in events such as organizing staff baby showers and planning birthday celebrations. Here is where your brilliance shines. This is an opportunity for you to showcase the great things that you have done in your current and previous jobs such as teams led, decisions made, problems solved, processes improved, revenues generated etc. It is important to ensure that the accomplishments you talk about are related to the job you are applying for. You can also give examples of accolades, honors and awards such as being recognized as staff of the year, receiving a certificate of good or long service, receiving an industry award and getting featured on a newspaper, radio or television. The interviewer should be able to make a correlation between what you have done and what they are looking for in a candidate. Make the interviewer’s job as easy as possible by discussing about an accomplishment and then matching it with a specific job requirement. Think about and even write down your top three accomplishments at the jobs you have held. Prepare to discuss what the situation was before, during and after. Using a storytelling format, explain your achievement starting at the end of the story then work backwards to the beginning. In other words briefly state what you accomplished or the final result, then talk about how you accomplished it and conclude by detailing what the prior or initial situation was before your intervention or involvement. “One of my greatest and proudest accomplishments is successfully planning and executing two major events within one month of starting a new job. This happened three years ago when I was hired as an Events Coordinator at Company XYZ. During my first week on the job my boss informed me that we should plan for two high profile events which were to be held back-to-back, one day apart, within a month’s time. The meetings were to be held at two separate venues 60 miles apart. The following few weeks were a frenzy of activity. I was a new employee trying to figure out the telephone codes and at the same time calling and inviting key business leaders to attend one of our events. On the other hand I was booking hotel venues, securing accommodation for participants, discussing menu preferences, making transport arrangements, preparing name tags, preparing and printing meeting materials, and assembling printouts and meeting materials into binders for two separate events simultaneously. In addition, I was handling requests from the meeting facilitators, following up with participants who had not RSVP’d and also regularly updating my boss on how everything was coming along. It was a whirlwind of activity within a short time frame and I was doing all this alone with expert guidance from my boss. Job advertisements usually highlight the minimum academic qualifications for a specific job vacancy. Most job listings will specify the educational level required such as GED, High School Diploma, Associate Degree, Bachelor’s Degree, Master’s Degree etc. Some employers even explicitly state on the job listing that you should not apply if you do not have the minimum education level required. You should not only talk about the academic qualifications received and from where but also talk about what motivated you to choose your area of study. Remember to explain whether you have graduated, if your study is ongoing or incomplete. Highlight how your education has prepared you for the jobs that you have done as well as for the job you are interviewing for. Mention any honors that you have. Point out any relevant or significant experiences, lessons and insights that you would like to share. For instance if you did a research study or thesis that gave you insight into the inner workings of the real world you can briefly mention that. Additionally you can talk about transferable skills acquired in school such as working on report deadlines, working in teams and groups, assigning tasks and being accountable and making presentations in the classroom. Leadership, management and teamwork skills can also be developed from playing in sports teams and participating in student clubs and organizations. Highlight any extras such as foreign languages learnt, exchange programs undertaken, internships done, community service etc. “I have a Bachelor’s Degree in Journalism from XYZ University and I graduated five years ago. I decided to do journalism because since I was a kid I was fascinated by news reporters on Television. I wanted to be either a newscaster or a news reporter. In college I was also fortunate enough to learn fluent French so now I can not only report news in English but also in French. During my senior year I did an internship at a local TV station where I shadowed a news reporter for three months. It was a very intense and exciting experience especially during times when she was covering breaking news. I got the chance to ask the reporter many questions about her work experience, tips for success, words of wisdom, how to speak off the cuff confidently and also got a chance to practice talking in front of the camera. There could be many reasons why someone is leaving or has left a company including resigning, getting fired, getting laid off or retiring. If you are resigning from your job, you usually have your reasons for why you are doing so. The interviewer or hiring manager would like to know the primary reason or reasons why you decided to apply for another job. 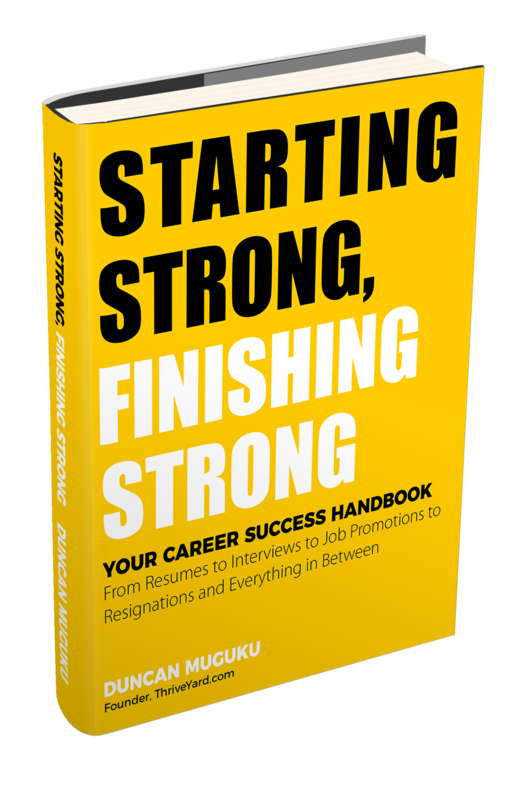 Your reasons for resigning can include the desire for career growth, the desire to make an impact or a difference at work, wanting to switch from one career to another, going back to school, relocating, need for more or less travel, personal reasons such as starting a family, spending more time with your family, preference for a shorter commute etc. You could also be looking for a part-time job or a role with fewer responsibilities to allow you more time for work-life balance, traveling or pursuing other personal interests. In the case of layoffs, they could happen because a company is facing financial difficulties, downsizing, merging, is acquired, redundancies, closures, relocations, change in strategy, technological advancements, economic conditions etc. Getting fired or being laid off could also be opportunities to reprioritize or refocus your career into areas you probably wouldn’t have considered before. You could end up taking a different career path. If you had been fired, you can mention very briefly why you were fired and what you have learned from that situation. Confidently mention that you have learnt from that experience and do not wish to make the same mistake twice. Demonstrate that you are eager to rejoin the workforce with newfound zest. Remember that we all face a rough patch once in a while in life and you can bounce back from being fired once given an opportunity to restart again. Conclude your response by mentioning the attractive things or qualities you like about the new company such as the opportunities for growth, stability, fast growth, good values and culture, strong leadership, great products and services, convenient location etc. When giving your reasons for leaving any job, please ensure that you do not bad mouth your former company, former boss or colleagues. Stay positive and professional at all times. “After four years in my current position, I feel that it is the right time for me to progress in my career. I am seeking more challenge and growth. I am proud of what I have been able to accomplish in my current role specifically adding new high net-worth customer accounts and supporting the rolling out of a new customer management system. I have grown as a professional and learnt new skills that will help me going forward. I have also solidified my analytical and negotiating skills and I’m able to handle a larger volume of customer accounts. Another way to ask this question is simply – What are your career goals? This question gauges whether you have thought about how your career will unfold or progress in the future. It is about thinking down the road and taking the necessary steps today to ensure that you are traveling on the right career path. You do not necessarily have to follow a straight line to get where you are going. The most important thing is to have a mental road map and each job you do is a milestone that gets you closer to your destination. If the job you are interviewing for is an actual milestone on your road map, then chances are that you will take the job seriously and give your best efforts so that it can naturally position you on to your next milestone and the next one after that. At the end of your professional career you can be able to connect the dots and see how the different jobs you did played out in helping you reach your ultimate career goal. “I see myself growing and advancing in my career over the next few years. I envision performing at a higher level to meet and even exceed my performance goals. This is an interesting question that aims to draw out further insights about what is most important to you in a job. This is an opportunity to discuss the top aspects that attract you to a job. The aspects about a particular job that make you wake up in the morning looking forward to going to work. These are things that give you personal satisfaction even during circumstances where you are facing challenges at work. It can be things related to the job environment such as utilizing your full range of skills, ability to contribute and your input being valued. Things related to the team environment such as team members who genuinely care for and support each other, help each other to succeed, teach each other, stretch you and help you to perform at higher capacities than you previously did. Things related to your boss such as a caring, supportive boss. A boss who takes time to listen and coach you and offers feedback. Also a boss who is genuinely interested in your well-being and success. Things related to the company such as the desire to work for a company that us at the forefront of its industry or a company that has strong corporate social responsibility focus or you like the products and services and how they make a difference or impact on people’s lives or any other aspect about the company. Remember to always link back your preferences or relate them to the specific job that you are interviewing for. “I like a job where I have the freedom to be creative and perform my work with little or minimum supervision. I thrive in work environments where teams are highly collaborative and enjoy the brainstorming process to put forth ideas, distill them and refine them further to come up with greater and stronger concepts. Your hobbies and interests outside the workplace provide more insights about yourself. They are windows into things that you care about and enjoy doing. At the same time your hobbies can bring out commonalities and mutual interests between yourself and the interviewer. Think of a hobby that you really care about and one that portrays you in positive light. Your hobby can even do double duty when it provides an opportunity to demonstrate transferable skills or help you to standout from other candidates. Examples of hobbies include volunteering, cooking, hiking, reading, traveling, gardening, cycling, swimming, writing etc. “My top hobbies are jogging and cooking. I enjoy talking long jogs in the evening at least three times a week. I like breathing in the cool evening air and watching the different color glows as the sun sets. Jogging calms and relaxes me and gets me ready to face a new day full of energy. I also enjoy cooking. I especially relish the challenge of learning a new recipe and trying it out. It usually takes a couple of tries before I perfect a recipe and it is such a gratifying feeling once the meal comes together perfectly. Have you done this kind of a job before? What have you done in the past that will make you succeed in this job? The interviewer would like to know specifically what relevant experience you have and whether you are qualified to do the job. Outline the relevant jobs that you have held in the past and clearly explain what the job was and the kind of roles and achievements you accomplished which are similar to the job you are interviewing for. Draw as many parallels as you can to clearly demonstrate that you have a sound understanding of the job and what it takes to succeed in the position. “I have worked as a Cashier for four years at a local supermarket with high customer traffic. I quickly learnt how to use a point of sale system and efficiently run a cash register. I handled a high volume of both cash and credit card transactions. I encouraged customers to enroll for customer loyalty cards to get more savings. I addressed customer inquiries, resolved complaints and referred complex cases to my manager. I processed customer returns, helped in arranging store inventory, ensured cleanliness of displays, built friendly relationships with customers and pitched in during busy holiday shopping periods. Over the years I built a reputation for having one of the fastest checkout lines. Here you outline the aspects that you enjoyed the most about your job. These are the elements that you looked forward to in your role. The things that kept you going and hanging in there even when you encountered stress and challenges in your job. Examples of things to like about a job could include the opportunity to put your skills, knowledge and abilities to good use. Working with a supportive and collaborative team. An appreciative boss. Strong and fair leadership and management. Knowing that your work has an impact. The satisfaction of working for a well-respected company. Others include opportunities for training and career advancement, autonomy, flexible hours, competitive compensation, open communication, a good company culture and a company that values it’s employees. “In my previous job as a Website Designer, I enjoyed the challenge of creatively transforming a client’s idea into a fully functioning website. I liked the opportunity to sit down with a client, listen to their ideas and requirements then design a website mock-up within a day or two. It was insightful going back and forth with the client tweaking the mock-up until both of us were on the same page. Here you have to think carefully about your answers. It is very easy to talk negatively about things that you did not like but will that aid your interview prospects? Think strategically about your answer. You wouldn’t want to appear as a complainer or an overly negative person. Be positive and diplomatic. Do not bad mouth your boss, colleagues, company or customers/clients. Truthfully demonstrate that you have a hunger to move up and succeed in your career and this could be achieved under the right set of circumstances. Highlight the issue that you least liked in your last job. It could include be lack of opportunities for career advancement, a desire for more professional development or training opportunities or an inability to fully utilize your skills and abilities. “When I started working in my last job six years ago, I was excited about the role and the potential it offered. As I worked over the years, my confidence, work output and experience increased. I even got a promotion but now I have reached a point where there are no more opportunities for advancement in my company in the foreseeable future. Briefly explain the key contents of your resume such as the relevant jobs you have held, your key tasks and major accomplishments. Specifically focus on the experience that directly relates to the job you are interviewing for. Also talk about your educational qualifications and your top skills and areas of specialization. “My most current role that relates to the Information Systems Manager position was working as a Technical Assistant at company XYZ where I was involved in training users, repairing computer hardware and installing software. I held a 95% percent customer satisfaction rating for two years for promptly responding and supporting 60 users. Prior to that I had worked as an Intern for three months at a local manufacturing plant where I supported two Information Technology Managers in troubleshooting and fixing office equipment. Sometimes a gap in your employment or career is inevitable. If there is a gap in your employment, you might be asked for an explanation. A gap in employment can arise due to many factors such as being laid off, getting fired, inability to find a suitable job, going back to school, resignation and relocation. Other factors for a gap are taking a sabbatical, volunteering, career change, sickness/medical reasons, taking care of a loved one or taking time to start a family or raise children. Any of the above items is a valid reason. Briefly and honestly mention the reason for the gap and highlight that you are looking forward to rejoin the workforce with great energy to make a positive contribution in your new role. “I was out of work for 6 months last year to pursue an intensive Creative Design certification course. I realized that I needed to invest in this training and knowledge to stay up to date with state of the art technology changes in the design field and to position myself for future high level and high impact positions in my field. This is where you passionately outline one accomplishment that you are very proud of; one that had the greatest impact for your company. Begin by mentioning what the challenge, situation or problem was before you implemented your solution. This provides a baseline, background or starting point for your story or answer. Next discuss what specific action or actions you undertook to solve the challenge. Finally outline the results that were achieved after you implemented your solution. “I am most proud of creating a user friendly, easy to use, multi-year budget template. When I started my last job as a Budgets Manager, one of the major challenges was a lack of a consistent budget format, budget template and an easy to understand template. The existing budget template was so complicated that over time different departments had started to creatively use their own versions of budgets leading to inconsistency throughout the organization during budgeting period. I reviewed all the different formats, talked to key users about their preferences and created from scratch a simple budget template that could not only be used for annual budgeting but could also be used for five year budget forecasts. I rolled out the template to all offices and trained staff on how to use it. Employers are interested in hiring employees who can add substantial value to their companies. One way of adding value is by continuously learning both on the job and outside the job. On the job training can include learning from others such as colleagues or supervisors. It can also entail learning by yourself through reading manuals, handbooks, guidelines, standard operating procedures etc. and practicing how to do various tasks. You can also keep your skills fresh and up to date by attending workshops, seminars, conferences, trade associations, lectures, talks etc. When asked about the additional training that you have done to improve yourself, outline the specific and relevant training that you have undertaken and mention how it has helped to improve your work performance. “Every year I have attended at least one seminar to improve my skills in Customer Service. So far I have attended courses on improving my telephone skills, effective and empathetic listening skills and how to deal with angry customers. In addition, I read at least one book every quarter related to Customer Satisfaction. Every once in a while I also watch online videos on good communication skills and how to solve customer problems. These trainings have helped me to be more confident and empathic in handling customer requests. Your answer to this question will give the interviewer insights into what you like and value most about a job. The first part of the question would be a straightforward answer where you think through all the jobs that you have ever held and identify one that you enjoyed the most. Briefly mention the job title, the company where you worked and how long you were working in that position. The second part of the question probes more to find out what you specifically liked about the job that you mentioned. You could have a myriad of reasons for liking a particular job however zoom in on your top three reasons. “The job that I liked the most was working as a long distance/interstate Truck Driver at company XYZ for three years. I enjoyed the freedom to work independently. Once I had my pick-up and delivery schedules, my supervisors trusted me to meet delivery times with regularity. I enjoyed the freedom of driving on the open highways and also liked meeting new people – customers, suppliers, vendors and other truck drivers. Your answer to this question will give the interviewer a deeper understanding on the type of boss that you like. It also shines a light on the kind of boss under whom you are most likely to succeed and be highly motivated. Think back through all the bosses and supervisors that you have had in your career and identify the one that you liked the most. Once you have zeroed in on your favorite boss, come up with at least three reasons why this boss stood out from the rest. Mention your reasons as well as identify the company and position where you worked under this boss. Reasons for liking a boss include their management style, ability to communicate clearly, fairness, transparency, holding themselves and others accountable for results and offering regular feedback. Other reasons include being available for employees, trusting, knowledgeable, self-aware, focused, decisive, visionary, having integrity, good coach and motivator, confident, patient and compassionate. “Out of all my former bosses, my most favorite one was a Principal at a High School. I used to work as a History teacher and what I liked most about the Principal was her ability to give good directions. She also had a big vision for both the students and the teachers and was willing to make time to regularly meet all teachers and brainstorm ways to improve learning and achievement in the school. Leadership skills are essential for success in one’s career. Your leadership abilities demonstrate your initiative, potential and capacity to perform work at higher levels. The ability to clearly communicate your vision, thoughts and opinions to inspire and guide others or to help improve work processes and achieve mutual results is beneficial to employers. When preparing for an interview, reflect on examples of situations where you demonstrated leadership skills. It could range from leading simple processes, projects or teams to highly complex projects and activities with multiple moving parts. Examples of leadership skills include: planning and running meetings, events and projects, managing budgets, training colleagues, making presentations, delegating, problem solving, decision-making and coordinating. Prepare at least one or two short stories where you show your leadership abilities in action. Begin by mentioning the company and the position that you held then explain what the initial situation, challenge or problem was. Afterwards outline the actions or steps that you took to resolve or execute an issue and finally point out the outcome or results achieved. “When I was working as a Receptionist at Company XYZ, I noticed that one of the challenges that staff used to have was overspending on the allocated budget for working lunch as well as the amount of time wasted as staff agonized over ordering group meals. There were many working lunch meetings during the year in that company. I took it upon myself to visit all the restaurants that were near the office and requested for copies of their menus. I also talked to the Restaurant Managers about priority delivery options and requested for a specific contact person who we could call on short notice to ensure that our food order was prepared and delivered quickly. I also negotiated discounts for repeat large orders throughout the year. I then compiled a spreadsheet that showed all the different restaurants in the neighborhood, contact persons, telephone numbers, food prices, discounts offered and different menu items, photos of the meals as well as estimated delivery times based on when the orders were placed. I uploaded this detailed and searchable spreadsheet on the company’s intranet and sent an email to all staff about it. I also organized a meeting and walked everyone through the spreadsheet and answered questions from staff. All staff had to do was to simply send me in advance the meeting date, time, conference room, number of participants and choice of food and I would place the order. This process helped in planning, saving costs and saving time and my colleagues were very happy to use the resource. Are you aware of your management style? How would others describe you as a manager? How do you plan and set goals? How do you measure your performance? How do you communicate? How much guidance do you offer others? How do you offer feedback? How decisive are you? How flexible are you? How do you manage resources? How do you organize activities? How do you prioritize tasks? How do you follow-up? How do you solve problems and take corrective action? How do you motivate yourself and others? How do you handle challenges? Your responses to the above questions can draw a pattern of what type of a manager you are. Knowing your managerial type begins by taking an honest assessment into how you like to do your work and achieve results through others. Descriptions for management style can include collaborative, directive, participatory, supportive and persuasive. It is important to note that different styles might be used based on the circumstances for example during an emergency or a tight deadline there would be need for more directions and hands-on involvement. “My management style is collaborative. I like to include my team, colleagues and boss in planning and brainstorming meetings to solicit their input, ideas and suggestions. Once everyone’s input has been sought, I am comfortable making a decision and assigning tasks and milestones to team members. I follow-up my team’s progress through regular check in meetings to ensure that everything is progressing well according to schedule. I encourage my team to let me know in advance about significant potential problems and challenges so that we can iron them out in good time. State where and when you saw the job advertised or who told you about the job or any other way you learned about the position. In addition, enthusiastically and briefly mention why you were attracted to the position. Common ways of learning about a job opening include the following: online job boards, employee referrals, social media, career section of the company’s website and through a search engine. Other avenues for learning about vacancies include recruiters, headhunters, job alerts, forwarded job emails, notice boards, newspapers, radio, career fairs, workshops and signs put up outside the business or on company vehicles such as trucks. Your answer to this question also helps employers to know which advertising sources are bringing in the best qualified candidates and this informs future job advertisement decisions. “I was excited to read this position on the career section of your website last month. The position requirements were a good fit for my skills and three years’ experience in data entry. Here the interviewer seeks to know why you are interested in this particular position. Your answer should indicate a keen understanding of the job requirements and match the specifications with your experience, skills and qualifications. You should show that you are a good fit for the job and the company and that you are capable of performing the job. In addition highlight your motivation for wanting this job. Answer the underlying question – Why do you want this job? Think about how the job fits in with your long term career goals. Does the job advance your career growth? Enthusiastically discuss how the job fits in with your career goals and how you seek to make a positive impact in this role. Likewise, show enthusiasm for the company as well and based on your research point out a few specific things about the company that make you excited to want to work there. “A few months ago I had read a press release about the launch of your startup company and your mission was very compelling. I was excited to see this job advertised on an online job board. My solid experience in graphic design will be a key asset in helping your company create transformative digital products. I have been working in the graphic design field for seven years and have designed numerous products including reports, proposals, brochures and marketing campaign materials. Highlight the key roles for the job and outline how you meet the requirements. Explain similar or transferable work experience which you possess that would ensure your success in the new job. Also point out the skills, qualities and minimum educational requirements necessary to succeed in the role and again outline how your skills are relevant for this position. “The Office Manager position will be primarily responsible for overseeing front desk operations, purchasing of office supplies and maintaining inventory, managing office maintenance and repairs and planning office events. I have worked as an Office Coordinator for four years at two different companies. I directly managed the front desk, planned office holiday events and coordinated the maintenance schedule and smooth running of office equipment for an office with 50 staff. I have experience working in a fast paced office environment while maintaining a pleasant demeanor and offering high level of customer service to both internal and external stakeholders. Here the interviewer would like to know what you can immediately bring to the table if hired. Based on the job description and from your work experience, you would be able to identify typical challenges that need to be solved in your line of work. 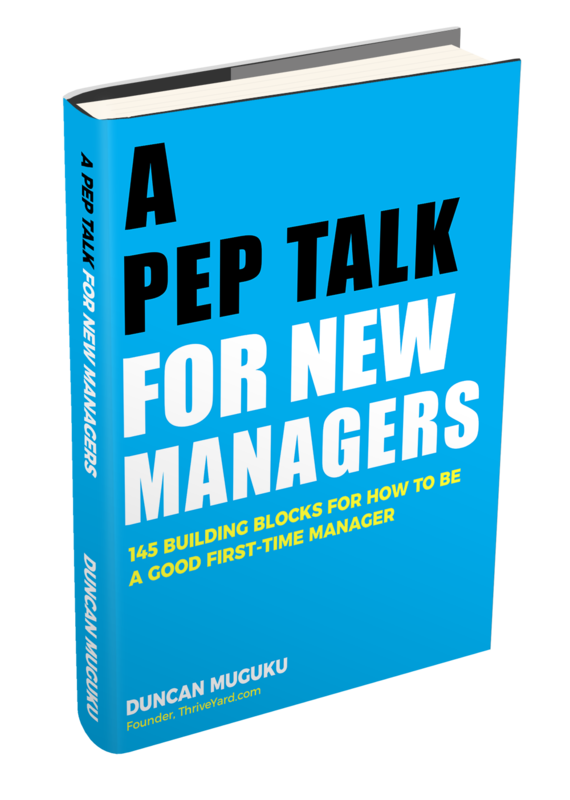 Think of at least five challenges that you have faced and solved in your current position and use this as a blueprint to propose at least three ideas that you would immediately bring to the new position. Specify that based on your experience, these are the typical areas of improvement in this type of role. Sample ideas that you can point out include improving systems, reviewing processes, creating plans, structuring workflows, standardizing procedures, reducing duplication, automating tasks, creating templates and revising or updating budgets. Other ideas include implementing ongoing training, instituting quality control checks, regular feedback, delegating tasks, setting measurable goals and monitoring work progress regularly. Point out a caveat that during your first few months you would take time to learn the organizational context with a view to customizing your proposed ideas to fit the actual needs and circumstances of the company. Think of this process as being similar to a Doctor tailoring a prescription to match a patient’s sickness rather than dishing out a generic prescription to all patients. “During the first 90 days one of the key things I would do is to immediately schedule a meeting with my immediate supervisor to learn their expectations and priorities for this role. a.) Developing a fundraising plan: to identify strategies and events to reach out to corporate donors, foundations and individuals. b.) Instituting quality control checks: I would create a two layer quality control system to ensure that all proposals have been reviewed and vetted by a third party to ensure that high quality, top-notch proposals are submitted to donors. Most jobs that have a component of traveling usually list this information upfront on the job advertisement. It is usually listed in terms of percentages such as 10% travel. When you apply for such a job you already know that approximately 10% of your work will involve traveling. If you do not like traveling and a job lists traveling in the job listing then it will be best not to apply. Travel can be a necessary part of the job such as meeting clients, networking, business meetings, making speeches and presentations, attending workshops and conferences. When asked if you are willing to travel, assuming that you are, then confidently answer yes. Use this opportunity to gather more insights on the travel requirement. Find out how many days a week you are required to travel. Identify whether the travel will be local or international travel or both. Find out the typical travel destinations as well. Signify that you understand that this job requires traveling and that you have done similar traveling in previous roles. Show you level of comfort with traveling. “I am willing to travel as part of my role to ensure that I succeed in this position. I am conversant and very comfortable with traveling. In my previous position as a Regional Sales Manager, I had an intensive international travel schedule of about 60% of my job. Deciding to relocate is a difficult decision. There are many factors to weigh and consider prior to moving from one location to another. Some things to analyze include where would you be relocating to – is it a domestic relocation from one city or state to another or is it an international relocation from one country to another? Another factor to consider would be the length of the relocation. Also the logistics and cost of relocation would be a factor to consider especially when you have a family. Think about how soon you would be able to adjust to your new location, familiarize yourself with your new surroundings and at the same time start contributing results in your new position. If you feel confident about relocating and are excited about the job and the possibilities that if offers for your career growth, then you can confidently answer Yes! On other hand if you are also excited about the job but do not want to commit to relocating, then truthfully say no and respectfully outline the major reason why relocating would not be a viable option for you. “I have not relocated in the past for any job however, I feel very strongly about this position. It aligns well with my career growth trajectory and I really admire this company. It is well respected and has a solid reputation. This question can also be phrased as – Why do you want to work here? There are two components to answering this question, the first part is to show your understanding and interest in working for the company. The second part is to outline how this job fits in with your career plans and what you will contribute to the organization. Research the company to learn as much as possible about its background, vision, mission, goals, programs, products, services, key people, recent news, finances etc. Conduct your research by reading the company website, its blog, social media profiles, reviews and testimonials, annual reports, news articles, networking etc. Having learnt as much as possible about the company, then go back and mentally address the basics i.e. – What things does the company care about? What challenges do they seek to be solved? Why is the position open and what will the new hire do? Finally, round up your answer by explaining the skills you possess and how your skills and experience will benefit the company. In other words highlight what you have to offer. “Having worked as a Licensed Practical Nurse (LPN) for four years and having recently completed my Degree in Nursing, I look forward to joining your hospital as a Registered Nurse (RN). My colleagues in my professional network are constantly talking about how great your institution is. I have heard about the high standards of patient care in your facility, extensive training programs and the mentorship program that is in place to help new nurses succeed. I have a strong record of working collaboratively with patient care teams and monitoring patients’ progress. A variation of this question is – tell us about our company? This question is an invitation to show how much you know about the specific organization. Prepare for this question by reviewing the company website to learn about the company history, its mission and vision, products or services offered, major customers, financial performance, number of employees, key office locations, leadership team and company culture and values. Also read the company blog, newsletters, reports, social media profiles, news and any press releases. Watch any company videos if they are available. The next step is to do background research about the job you are interviewing for. Is this a new position or are they hiring a replacement? Who does the position report to? Who is the immediate supervisor? In which department is the job located? What does the department do? When answering the question – What do you know about our company? – talk about the big picture of the company such as what it does, its geographical presence and the services and products it offers. In addition, point out specific things that you like most about the company such as its well established track record, its visionary goals, its growth potential or the fun, employee friendly work culture. “From researching about your company, I found out that it not only had a regional presence but also was on the verge of venturing into the international market. I admire the company’s mission of providing xyz to xyz. The staff testimonials also portray this as a fun, collaborative and energetic environment. This question tests your knowledge about the overall industry in which the company operates. Specifically, the question tests your understanding of the competitive landscape. You can focus on three major competitors and find out background information about them such as the products and services the competitors offer, their prices, their size, their profitability and the types of marketing campaigns they use. Learn about competitors by doing online searches, reviewing competitors’ websites, reading industry publications and reports, yellow pages, trade magazines, social media and news articles. Apart from explaining who the competitors are and what they do, also point out what makes the company differentiate itself or stand out from the competition. The visible competitive advantages of the company could include elements such as its brand name, number of years in existence, its people, its products, prices and customer service reputation. “This company works in the Research Survey industry and you provide customer satisfaction surveys through direct mail, telephone surveys and online. The direct competition includes Company X, Company Y and Company Z. Company Y is the largest in this space having been in existence for 70 years. Company X and Z whilst providing customer satisfaction surveys also provide many other types of surveys such as employee satisfaction and economic surveys. Your company has carved out a niche by exclusively focusing on customer satisfaction surveys for the hotel industry. This question can also be restated as – Describe a typical day at work? No two days are entirely the same; however, your work routine can serve as a compass to guide your work flow. This question seeks to find out what you do during a typical work day and how you do your work. Begin by explaining how you plan and organize your day to ensure maximum efficiency and productivity during the day. Explain how you work individually and when you collaborate with team members. Highlight how you communicate with your boss, how you align on priorities and report back to keep your boss updated. “I like to begin my day by preparing a to-do list. I then review the list and identify the priority items that need to be addressed. I also check my email and voicemail and respond to emails and return calls. I attend scheduled meetings, collaborate with team members and work on assigned tasks during the day. I usually meet with my supervisor once a week for a check-in meeting but also keep her regularly updated and copied on important emails. At the end of the day just before heading off, I look at my to-do list to see the items I completed and any pending items. The purpose of this question is to find out how well you handle and bounce back from disappointments. Disappointments are an inevitable part of life. We feel sad when things do not happen as we had expected. For example if you had spent months working on a proposal and then your company does not win the contract, this can be disappointing. Or if you were hoping for a promotion but instead someone else gets promoted. Or if you had a major presentation or a speech and you forgot your lines on-stage. Or if your work is severely criticized by a supervisor or colleague. It hurts when you have been let down or when you have let yourself down. Take a moment to process the feelings of disappointment. Find out why you failed and learn from the failure. Avoid taking it personal, feeling sorry for yourself or sulking, worrying and agonizing over the disappointment. Once you have recovered from the disappointment, try again or try another approach to achieve your objective. In addition, anticipate future disappointments and plan ahead, seek help and guidance from others and solicit for regular constructive feedback aimed at improving your performance. “I have faced my fair share of disappointments at work. My major disappointment has been not winning proposals despite investing an inordinate amount of time developing the proposals. It felt sad losing the contracts to other organizations. I sought to learn how we could overcome our setbacks by attending debriefing meetings with clients to learn how we could improve our proposals in the future. I took copious notes and used this to guide and inform future proposal writing efforts. 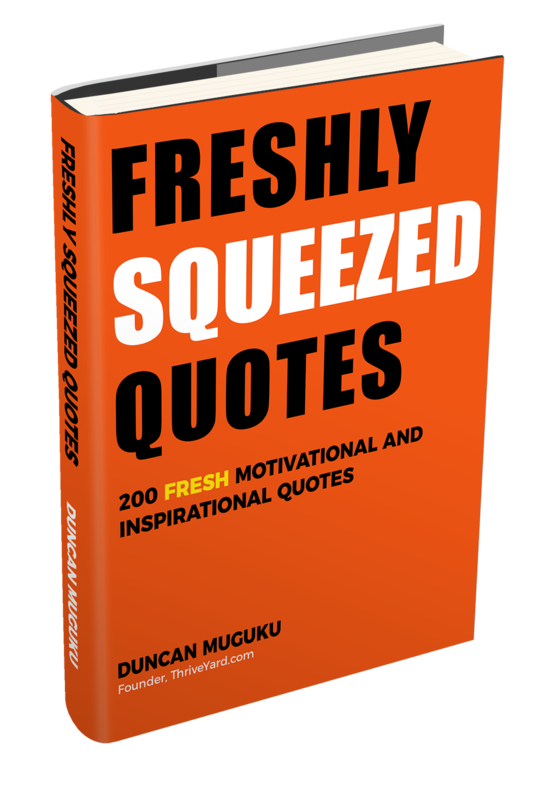 I also like to read about how successful people who have faced disappointments have overcome them and gone on to excel in their careers and fields. Conflict is an inevitable part of both work and life. How you deal with conflict has an impact on your work. Causes of conflict in the workplace can include poor communication, lack of teamwork, not being appreciated, being overworked, unhealthy competition, favoritism, personality differences, conflicting directives etc. Ignoring conflict does not make it go away. Workplace conflict should be resolved as quickly as possible. Disagreements and unresolved workplace conflict can lead to stress, tension, fear, hostility, anger, low morale, low productivity, lateness, negativity, unhappiness, absenteeism and employee turnover. The first step in addressing conflict is identifying what the conflict is and what caused it. Sometimes you could be the culprit and other times it could be someone else who is causing the conflict. Talking about the conflict with a view to achieving an amicable solution should be the next logical step. The talking part can involve a direct on-on-one conversation or it could include intermediaries to help in conflict resolution. Once conflict has been addressed and resolved, actively take steps to prevent it from occurring again. Regularly resolving conflicts breeds a healthy, friendly and productive work environment. When responding to the question – How do you handle conflict at work? – give an example to illustrate a situation where you faced conflict, the steps you took to respectfully address it and the outcome. “One of the challenges I faced recently was working with a colleague who often did not copy me on emails regarding projects and deadlines we were collaborating on. Instead he would mention upcoming deadlines during weekly team meetings and by then there would be little time left to meet the deadlines. This caused me anxiety because I did not have a clear picture of pending tasks. Consequently, I could not plan my work well and often was blindsided by urgent deadlines. In those cases I had to drop everything I was working on to meet the deadlines. I decided to schedule a meeting with my colleague to discuss this situation. I mentioned that it was important to include me on relevant email chains so that I could get an early heads up on deadlines. I elaborated that this would help me to prioritize my tasks and deliver high quality work ahead of schedule. My colleague said that he had assumed mentioning upcoming projects and deadlines during the once a week team meeting was sufficient notice. I pointed out that with many other tasks that were on my plate it would be helpful to get an email as soon as a project and deadline was assigned rather than waiting till the team meeting. After the meeting, my colleague started to include me on relevant email chains. Change is a regular component in the workplace. There is usually anxiety, fear, worry, uneasiness or apprehension when changes are made. When things change it introduces an element of unfamiliarity, uncertainty, risk and unknowns. These fears can cause people to pause as they try to figure out how to proceed. Whenever change is introduced, learn as much as possible about what necessitated the change or the need for the change. Embrace change by being open-minded and flexible. Look for the positives in the change and support it as best as you can. Help others to deal with or adopt the change. Examples of changes in the workplace can include new processes, policies or systems, new colleagues, new reporting structures or supervisors, new products and services, automation, organizational restructuring etc. “One day in my previous job as a Financial Coordinator, our Vice President of Finance announced that the company would be purchasing a new Financial Management System. This system would automate the finance and accounting processes and responsibilities and significantly change the way we were used to working. There was nervousness and apprehension within the team over what a new system would do. The VP of Finance invited team members to volunteer in evaluating and watching demos from different software vendors. I volunteered to participate in the evaluation committee and got a chance to ask questions about different aspects of the proposed systems with an aim to seeing which one had the best functions to support our company’s needs. I also watched online videos and tutorials about the different systems. I further contributed in providing suggestions and recommendations for the financial management system which I thought would best serve our needs. After the system was purchased and implementation began, based on the tutorials I had taken, I was able to quickly master the functions of the system. I even trained my colleagues on how to use the new system. Constructive criticism is aimed at helping you to get better in one or more areas of your professional life. Welcoming constructive criticism signifies your willingness to change, grow and improve. Areas of improvement can include your skills, performance, work habits and relationships with coworkers or with supervisors. When receiving constructive feedback, avoid being defensive, argumentative, getting angry or making excuses. Maintain your composure and stay calm. Take time to listen keenly, seek clarification or more specifics, and absorb the suggestions and recommendations. Make a genuine effort to put the feedback into practice. Remember to thank the person who took their time to offer constructive feedback. Accepting constructive feedback helps you to be more self-aware about your weaknesses and blind spots. You get to perceive how others see your shortcomings when they offer genuine criticisms. Make it a practice to actively seek constructive criticism to help you improve in your job and career. “I have regular one-on-one weekly meetings with my supervisor where I proactively request for constructive criticisms with an aim of improving my work performance. Your answer to this question provides a window into how you prefer or like to do your work. It highlights the circumstances under which you thrive and are capable of achieving high levels of productivity. Your work style can take many dimensions such as the way you plan and schedule your day and how you maximize your most productive periods during the day. It can also entail your preferred communication style, your interaction with others, participation in meetings and team work and how you support your boss, colleagues and the overall company. “My most dominant work style revolves around how I structure and execute my daily tasks, how I interact and collaborate with colleagues and how I support and report back to my boss. I am a great believer in preparing to-do lists at the end of the day so that I can get a head start when I start work in the morning. This gives me an advantage because each morning I have a mental picture of what I will be working on. I can further prioritize my activities based on upcoming deadlines and reorganize my tasks to accommodate emergencies. I also enjoy contributing to team meetings with my colleagues especially brainstorming sessions where we are working on a new idea or solving a problem. This interview question aims to identify what keeps you going and what gets you excited to do your job every day. The best type of motivation is self-motivation; the desire that is within you to succeed in your job. This is what keeps you going even when you face ups and downs. It helps you persevere and keep giving your best effort. Internal motivators include the desire to put your skills to good use, setting and accomplishing goals, meeting targets and deadlines, exceeding your past performance, offering exceptional customer service, paying attention to details, ongoing self-improvement etc. Other motivating factors include a strong and collaborative team, positive feedback, a good working environment, a supportive boss, good colleagues, good work culture, belief in the mission and vision of the company etc. “I am motivated by doing creative and challenging work. As a Licensed Plumber, each maintenance service and repair call differs from the other. I like the process of diagnosing a customer’s problem, recommending an appropriate solution and then getting to work to execute the solution once it is approved by the customer. My greatest satisfaction is when a customer smiles with pleasure from the outstanding job that I have done. I always go above and beyond to deliver high quality service within the shortest amount of time while adhering to building codes. The best answer to this question should portray your ability to work both independently and in a team setting. Explain that you can interchangeably switch from one mode to another depending on the task or project at hand. If you say that you only prefer working alone this would be a disadvantage. Similarly preferring to work as part of a team only is a disadvantage as well. “I like working both independently and as part of a team. There are certain tasks that I function much better when working alone such as planning my work, writing reports, conducting research, doing sales calls and creative writing. Teamwork is an important component for success at work. More work is accomplished when working with a team. Teams help to improve outputs, ideas and processes leading to better end results. The output of a well-functioning and committed team is much more than the output of an individual. This interview question requires you to outline specific examples of your role in contributing towards the success of a team. Your answer should also demonstrate your willingness to support others, work collaboratively and also work together on or towards shared goals and objectives. Discuss what your role was in supporting the team. Explain what the goal of the team was. What was the team trying to accomplish? If you were the leader of the team, explain how you organized the team and ensured that everyone worked towards the common goal. Remember to give the results or outcome of the team effort. Examples of teamwork contributions include pitching in when others need help or are short staffed, sharing ideas and information, guiding others, collaborating on tasks, volunteering for projects and generally sharing the workload. By knowing the strengths of team members, you can be able to support them more effectively. In addition, working together encourages innovation and improvement of processes. Learning from each other likewise enhances creativity. Whereas brainstorming as a team helps in solving problems. Finally, teamwork strengthens bonds and work relationships. “I enjoy working in teams. I always enthusiastically offer my support to help in achieving shared goals. For example in one of my roles as an Event Coordinator, our team was tasked with planning a conference in a foreign country. We had a series of planning meetings and I was assigned the role of selecting the best possible conference venue within a limited budget. I started contacting different venues and regularly reported back to the team on the progress made. After numerous phone calls and emails I narrowed down the choice to three venues, presented the choices to the team and outlined the advantages and disadvantages of each. Problems are an ever-present reality in any work place. The ability to formulate solutions and quickly resolve problems is a strong selling point for any job candidate. This interview question aims to find out how you solve problems. This is achieved by walking the interviewer through a specific problem that you have resolved at work. Begin your response by clearly outlining what the problem was, what your role was, where you were working at that time, when the problem happened, the steps that you took to solve the problem and the outcome or end result. Moreover, state any insights or lessons learned from resolving the problem which would make you better prepared if the problem occurs again or alternatively how you can prevent it from happening again. “Two years ago when I was working as a Project Manager at Company XYZ, we received an email from one of our major donors that a final report for a five-year project was due within one week. Instead of writing the five-year report over a typical three month period, I now had only one week to write it. I quickly reorganized my tasks and made the report my highest priority. I swiftly developed a report outline, then reviewed previous progress reports, interviewed program implementers and wrote the report incorporating results and project outcomes achieved. It was a hectic week. After working fast and furiously, I was able to complete and submit the final report on time. This experience helped us to strengthen our project deadlines monitoring system. It turned out later that there was an error made when entering the final report deadline in the system where the wrong year had been keyed-in and we thought the report was due within one year. Everyone makes mistakes at one point or another in their career. The most important element is how you bounce back from mistakes and the combination of lessons learned and how you apply those lessons to improve your skills and future actions. When answering this question, take time to think through an example of a major mistake that you have done in your current or previous jobs. You have to be careful about mistakes that would put you out of the running for the job. Walk the interviewer through what you had initially hoped to achieve, point out what the mistake was, and identify the consequence of the mistake. Discuss how you owned up to the mistake and how you corrected the mistake. Highlight the lessons that you learned and how you applied these lessons to prevent mistakes from happening again or reducing the magnitude of mistakes. “Early on in my career, I was working as an Administrative Coordinator at a local manufacturing company. A few months into the job, my boss and I organized an offsite training workshop for all the departmental staff. We had contracted an international workshop facilitator who came to train our staff for three days. The facilitator used many flip charts where he wrote a myriad of concepts, processes, procedures and solutions that would help our team to be more productive and efficient. Once the workshop was over I was tasked with packing the workshop materials and returning them to the office. I packed up the materials such as projectors, folders, programs, evaluation sheets etc. However, when it came to the flip charts, and there were six flip charts that the instructor had written on, I decided to tear up those flip charts and threw them away because they were bulky and had been used. The next day my boss asked me to transcribe all the materials that were on the flip charts and prepare a report to circulate to all the departmental staff as well as to upload a copy of the report to the company’s intranet. I simply froze upon this request. I then told my boss that I had made a big mistake. I apologized and informed him that I had torn up the flip charts and threw them away at the workshop venue. My boss almost cried. He could not believe what I had done. He told me to figure out a way to correct the situation. I had to go around asking everyone who attended the workshop for their notes. I photocopied as many notes as possible and recreated the facilitator’s notes for the workshop report and for the company’s knowledge library. At work, how do you overcome challenges, setbacks, struggles, hurdles, problems, adversity, difficulties or hardships? What are your coping methods and mechanisms? How do you persevere through and in spite of challenges? Think of an answer that shows your abilities to not only handle challenges at work but also to proactively plan ahead to prevent challenges from occurring in the first place. Discuss the challenge that you faced, the actions you took to overcome the challenge, the outcome and what you learnt from the process. Ways of overcoming challenges at work include building up your skills, working with a team, helping and supporting others and learning from colleagues who have faced similar challenges. Other ways include taking time to dissect and fully understand the problem, planning and preparing for unforeseen challenges, asking for help, asking good questions and willingness to learn and improve yourself. More tactics for conquering setbacks entail challenging your ways of thinking, stretching yourself and your capabilities, being flexible and open to change, having a positive mental attitude and taking one step at a time. “One of the greatest challenges that I have faced at work has been situations where I have been left out of the loop of important communication that was necessary to enable me to do my tasks properly. Typically the root of the problem has been a communication issue. To avoid this kind of problem from occurring, I make an effort to early on build relationships with colleagues especially on critical teams where there is great need for collaboration. I do regular meetings and seek to find out what is coming down the pipeline to get advance warning or heads-up. I also follow-up when sufficient time has elapsed and prompt by asking questions such as – I thought we should be doing task x or y right about now, what is the latest status on this? I always thank my colleagues each time they keep me in the loop about upcoming deadlines, assignments and priorities. By expressing appreciation, it helps to nurture these good behaviors. i.e. using positive reinforcement. Respond to this interview question by highlighting an example of a time when you took initiative at work. Explain what you did and why you did it then discuss the results of your actions. To identify the instances where you took initiative, think about any processes that you have developed, simplified or improved at work. Likewise, think about areas where you have helped the company to save time, money or other resources. In addition, think about new skills that you have proactively worked on acquiring or improving through training courses or on the job training. Taking initiative entails going the extra mile at work. It involves going over and above your normal duties to make a difference or a positive impact to the company. It is seeing or identifying something that needs to be done and going ahead to do it or seeking the proper approval to proceed with your plan. Your ability to take initiative at work can help you to stand out. Having initiative shows that you are self-driven and determined to succeed in your job. How do you show initiative at work? Ways of taking initiative include: proposing new ideas, solutions or strategies and proposing new products or services or improving upon current ones. Others ways of showing initiative are giving suggestions or recommendations, planning and forecasting, volunteering for assignments and projects, following-up, brainstorming with coworkers and pitching-in to help others. In addition, you can exhibit initiative by discovering new or faster ways of doing things, asking thoughtful questions and setting for yourself high standards of achievement and excellence. Finally, initiative can be displayed by speaking up and contributing during meetings, connecting the dots, improving processes and reaching out to customers for suggestions for improvement. “In one of my former jobs as an Operations Director at a non- profit organization, my primary role was setting up new operational systems, processes and procedures that would aid the daily operations and administration of donor-funded projects. In addition to my primary tasks, I decided to develop a website framework that would showcase our department, the projects that we were working on, success stories from the field and upcoming events and announcements. I compiled all the relevant project information, edited it into impactful language, selected the best photographs from a library of hundreds of photos and matched them with relevant articles. I then scheduled time with the organization’s Website Manager and together we developed a fully functioning website for our projects. Customer satisfaction is a necessary component for the long term survival and sustainability of a company. When customers are happy, they are likely to buy more products or services, become repeat customers and tell others about the company. This interview question seeks out how you ‘wow’ customers. Describe the typical things that you do or outline the methods you follow on a regular basis to ensure that customers are happy. You can also give an example of a situation when you went above and beyond to ensure that a customer was happy. Ways to make customers happy include customizing or personalizing your customer service, promptly responding to customer phone calls and emails, speaking to customers with a friendly and positive tone, and addressing the customer by their name. Additional methods are following up on promises made, being well prepared, paying attention to details, listening carefully to customers, showing empathy and understanding, and under-promising and over-delivering. Others ways include dealing with complaints in a timely manner, being proactive and addressing possible problems before they occur, being respectful, admitting your mistakes, apologizing and rectifying them and thanking the customer. “In my role as a Corporate Travel Agent, my job entails booking the most efficient, cost effective and shortest route possible for busy international corporate executives. Whenever I am assigned a new client, I take time to schedule an introductory meeting where I introduce myself. I also learn about the specific executive’s preferred airline carriers, connections, hubs, maximum layover time, cities they would like to connect through or not connect through, airport shuttle preference, average frequency of flights per month, preferred hotels, frequent flyer program etc. I then program this information on a database and each time the executive needs to take a flight, I rapidly customize the entire flight experience based on their preferences and within the customer’s budget. As a result of my attention to detail and personalized customer service, our portfolio of clients has been steadily increasing. Our clients usually refer other executives to our company. In today’s fast paced work environment with multiple conflicting and competing deadlines, the ability to prioritize your tasks and manage your time properly is critical. Future employers would be interested to know during the interview how you prioritize your work and ensure that assigned tasks get completed in a timely manner. Answer this question by explaining the steps you follow to categorize your assignments according to their order of importance. In addition, talk about the tools, methods or systems that you use to prioritize your duties. Prioritization includes estimating the amount of time, effort and resources that you need to accomplish a task. Walk the interviewer through your logical thought process for planning your work. Your prioritization plan can include listing down all your tasks then reviewing your to-do list and identifying major deadlines and priorities. Re-check the list at regular intervals during the day and cross out items completed. Re-balance your list as appropriate. Your to-do list or prioritization list can be in electronic format, hard copy or both. Meeting with your boss regularly to align priorities is a good strategy. During these types of meetings, outline the major tasks that are on your plate. Likewise, find out the assignments that are of the highest priority to your boss at that point in time. Methods for managing your workflow include calendars, diaries, spreadsheets, notepads and project and work scheduling software and applications. Good practices in managing priorities include – setting up reminders, assigning start and end dates for major work, clarifying due dates when given a new task, delegating, figuring out typical and unforeseen delays and hold ups and knowing when to ask for help. Other methods include grouping together similar or related tasks and doing them together, whenever possible working on one item at a time, and giving higher priority to tasks that are part of a workflow where colleagues are waiting for your input to push the task to the next step. Moreover, breakdown large tasks into smaller activities and assign a mini deadline for each activity. Furthermore, you could categorize your to-do list into three major categories namely high priority, medium priority and low priority. The categorization would be in reference to when the item or task needs to be done or is due. In addition, you can discuss steps that you have proactively taken to improve your prioritization skills. For example attending time management courses, reading online tutorials, reading books and learning from co-workers about the methods they use to prioritize their tasks. “In my job as a Procurement Specialist my role involves managing critical purchasing deadlines from multiple departments, communicating with hundreds of suppliers and resolving purchasing issues. On a daily basis I write down a to-do list of all my tasks. I write my list on spreadsheets with different tabs for each day. I then go through the list and identify high priority items which have upcoming deadlines. I also have a daily check-in meeting with my boss to learn her priorities and readjust my tasks accordingly. Before working on each task I mentally estimate how long it will take to complete it. When emergencies and unforeseen deadlines arise, I quickly jump to address those and reorganize my priority list accordingly. The ability to work under pressure and meet deadlines is a desirable quality in the workplace. This question requires more than simply stating that you can work under pressure. You should explain that you can work both with and without pressure. Indicate that there are circumstances where there is a lot of work pressure and that you have experienced these kinds of situations in your job and handled them confidently. You also need to support your answer by giving a specific example of a situation where you worked under pressure. Briefly explain what the situation was, how you rose up to the occasion or challenge and the end result. Skills that can help you to succeed despite work pressure include the ability to make quick decisions and assessments, how you organize and prioritize and dealing with change or uncertainty. Other skills include how you respond to unforeseen outcomes despite your planning efforts, staying calm and focused during intense periods and the ability to come up with solutions quickly. Pressure can also bring the best out of you. It stretches your abilities and can become a learning opportunity. Even though high pressure situations might be unavoidable, mention how you proactively plan and organize your work to reduce adverse effects of pressure by thinking ahead. “I am able to work well both under pressure and without pressure. In my job as a Flight Attendant, my primary aim is to offer outstanding service and keep passengers comfortable at all times so that they can enjoy their flights. I am able to remain calm and offer instructions, guidance and reassurance during non-emergency and emergency situations such as directing passengers during evacuation emergencies. I exhibit a pleasant and cordial demeanor even while working in-flight in tight conditions for long periods. Likewise, I work cheerfully during less stressful parts of the job such as greeting and welcoming passengers aboard a flight. One particular flight a few months ago was extra stressful because one of my fellow Flight Attendants became sick during a 10-hour flight and had to rest. As a result we were short-staffed as we attended to hundreds of passengers on the flight and had a heavier than normal workload. I rose to the occasion by responding as fast as I could to requests from passengers while still maintaining a pleasant demeanor. You can face disagreements and misunderstandings with colleagues from time to time. This question seeks to find out how you settle, fix, overcome or resolve friction, arguments, hostility, discord or disputes at work specifically between yourself and fellow workers. In your answer, outline the steps you take to respectfully resolve disagreements with co-workers. You can give a real example that describes briefly what the disagreement was, the action or actions that you took to sort out the friction and the resulting outcome. Disagreements with co-workers can be caused by issues such as personality differences, lack of flexibility, difference of opinion, differing work styles, limited resources, competition, gossip, poor communication and communication breakdown. “When I encounter a disagreement with a co-worker or when we are not seeing eye-to-eye, I typically aim to resolve it as soon as possible. I would normally find an opportunity to privately speak with my colleague. I then respectfully highlight the issue or problem and listen to my colleague’s point of view. Afterwards we work on finding common ground on how we can move forward amicably. You are expected to have references who can provide independent assessments and recommendations about your skills, abilities, qualifications, work performance, working style, professional character etc. Typically, professional references would include supervisors, subordinates, work colleagues, professors, teachers, business partners, customers or clients. Choose references that know you and can give the best possible feedback. They should be able to talk about specifics rather than giving general feedback about you and your work abilities. It is a good practice to give an updated copy of your resume to your references. In addition, it is strategic to give your references a heads-up when you are interviewing for jobs so that they can be alert when contacted for a reference. Your response to this question will be determined by the type of references you have. You could have different categories of references such as supervisors, subordinates, co-workers, business partners, customers, clients, suppliers, vendors and academic references. Each category sees you and interacts with you in a different capacity. Below are a few pointers on what supervisors, subordinates, co-workers, customers, suppliers and academic references would say about you. A supervisor can comment on how you work, how you follow direction, your punctuality, creativity, team work, problem solving ability, positive attitude, taking initiative, productivity, flexibility, meeting deadlines etc. Subordinates would speak about what type of a boss you were. They can talk about your leadership style, how you motivate staff and provide feedback, your communication style, vision, accessibility, offering praise and recognition etc. Work colleagues would remark about what kind of a co-worker you were. Your willingness to help, your knowledge and expertise, empathy, collaboration, team player, hard worker, dependability, integrity, work ethic etc. Customers or clients could talk about your customer service skills, listening skills, presentation skills, following up, meeting deadlines, quality of work or service provided, enthusiasm etc. Suppliers or vendors could discuss your planning skills, attention to detail, fairness, integrity, communication, work standards etc. Whereas academic references can offer feedback on how hardworking you were in class, your curiosity to learn, participation, team work, communication and presentation skills, taking feedback and correction, self-drive and desire to succeed etc. If you participated in competitive sports at high school or college and had a coach, they could provide valuable insight into your transferable skills such as determination, taking direction, preparation, competitiveness, supporting teammates, handling failure or defeat etc. Your reference list should include at least three references. It should list your name and contact details at the top of the document. List the names, current titles, organization and contact details such as email and telephone. The description is beneficial especially since people change jobs and companies over time. Likewise companies merge or go out of business. Therefore, it helps to provide a point of reference to distinguish the capacity under which the person will be providing feedback about you. “My supervisory references would say that I was known for completing multiple production projects and schedules against tight deadlines. They will describe that as a Production Assistant at Company XYZ, I supported a busy production team in filming and editing documentaries and live events. I was also commended by my supervisor for piloting a podcast that quickly took off and became a regularly scheduled program. A variation of this question is – What would your former boss say about you? Your answer will provide insight into your performance, your work habits and what you did that made your boss happy. Give an honest answer because in any case your former or current boss could be contacted for reference. Answer the question – How would your former boss describe you? – by stating at least three traits that would describe you. The traits could include: organized, meticulous, responsive, dependable, knowledgeable, forward-thinking, fast learner, persistent, technologically savvy, results-oriented, compassionate and self-driven. Give background context, examples or stories to showcase what your boss liked about your work or traits. In addition, you can elaborate on specific positive feedback that your boss might have given to you via email, in person, during performance review, public kudos etc. “My former boss would describe me as being dependable, meticulous and forward-thinking. I always exhibited a “can-do” attitude and my boss regularly relied on me to push through tasks that others did not like doing. When assigned projects, I ensured that I had as much information as needed and always pushed myself to deliver accurate and high-quality work. My boss rarely had any edits to make on my reports or other documents that I produced. Pick at least three words that your former workmates would use to describe you. Ideally these descriptions or traits would be a reflection of your key strengths and how you work and interact with co-workers and other stakeholders such as customers, suppliers, vendors, management etc. Examples of descriptors could include focused, creative, helpful, responsible, proactive, honest, dependable, passionate, resourceful, strategic, tireless, team-player, problem-solver and persistent. Others include ambitious, enthusiastic, cordial, good-natured, supportive, organized, courteous, accountable, committed, detail-oriented, hardworking, self-motivated and flexible. Explain briefly why your colleagues would describe you the way you say they will. Give a little background, supporting information, story or example for each trait you mention. “My former colleagues would describe me as reliable, collaborative and committed. Each time I had an individual or group assignment I ensured that I understood the requirements and sought clarification as needed. I then got down to work with zeal and sought others’ input as necessary. I constantly kept my team updated and kept working until the task was done and fed my team with high quality and timely results. This question could also be framed as – Which other companies are you interviewing with? Similar to how a company is interviewing multiple candidates to assess the best person to hire, most candidates would also be searching for and even interviewing for other jobs. A company would never tell you the names of the other candidates that they are interviewing. Neither should you provide or volunteer the names of the companies you are interviewing with. This is private and personal information. You can elaborate as well that you would not reveal to other companies the fact you are interviewing with this particular company. Once again, you do not have to mention the specific companies where you are interviewing. You can respectfully say that you are interviewing for your job specialization with a few companies. Stating that you are already interviewing with other companies provides crucial feedback. It lets the company know about your availability and the real potential of you being hiring elsewhere. Remember to answer this question honestly. There are only two possible answers – either you are interviewing for other jobs or you are not. If you don’t have any interviews scheduled you can simply say that you have applied for a few jobs within your area of specialization. Remember to end all your answers by showing your genuine interest in the job you are interviewing for and stating what you can offer the company. It could also be the case that this is the only job you are exclusively applying for. In that case, toot this fact loudly and enthusiastically state how much you want to work for the company. “Yes, I am currently interviewing for two other positions and I am very much interested in working with your company. Talking about salary can cause a bit of nervousness. The first rule of thumb is that your desired salary should not be too high or low from a normal market range for the kind of job you are seeking. You wouldn’t want to price yourself out or shortchange yourself either. You can conduct your own salary research on websites that provide salary data and compare the typical salaries offered in your geographical location for the job that you want. Vacant positions usually have a predetermined salary band or the company has a budget for the position. You can also politely ask the recruiter or interviewer about the budgeted salary range for the job vacancy. If they give you an answer, you can readjust your required salary amount or range accordingly. On the other hand, when asked about a specific salary amount you can say that your salary is negotiable. However, the interviewer would normally push for a definite answer. The safest bet is providing a salary range. Where you state your highest amount and the lowest amount that you would consider. Providing a range gives you more flexibility and wiggle room to negotiate as opposed to mentioning a fixed salary amount. Some companies will ask you about salary information upfront right at the job application stage. Others will ask you during the phone screen stage while others will ask during the initial interview or during any subsequent interviews. In addition, some companies will list either the salary amount or the salary range on the job advertisement. This can enable potential candidates to weed themselves out from the very beginning if the stated salary does not match their requirements. In theory, the best time to discuss salary is after you have had a chance to sell yourself during the interview and outlined the contributions you would bring to the company. This puts you in a much stronger position because you have demonstrated the value you can bring to the company. Some interviewers or recruiters might also ask you about your current salary or even previous salaries at your former jobs. If the salary offered or proposed is too low for you to comfortably maintain your standard of living, then you would have tough decisions to make. This could include walking away from the offer if it doesn’t match your requirements. Moreover, you can also negotiate for other benefits such as transit benefits, flexible work schedule, additional vacation days, sign-on bonus, profit sharing, retirement plan, performance bonus or other perks that the employer might be willing to offer. There would be two general scenarios which would dictate your answer to this question. The first scenario assumes that someone is unemployed and therefore would be able to give a more immediate time-frame or start date. The second scenario assumes that you are already employed. In this case your answer would be guided by the notice period your current employer usually requires before an employee resigns. If your employer requires two-week notice then your answer will be you can start the new job within two weeks or more. The ‘more’ part is if you want to take a break or a vacation before starting a new job, then you can adjust the duration or start date accordingly. In addition, you might want to give your current employer a longer notice period such as one month if you want to help in ensuring a smooth transition and hand-over process and possibly even help in the recruitment of your replacement. This question would normally be asked towards the end of the interview. This is an opportunity to further sell yourself. Discuss any additional and relevant accomplishment that you have not brought up. You can mention accolades and awards achieved such as being voted the employee of the month or year, getting industry awards and recognition, newspaper stories about you etc. You can also reiterate your interest in the position, convey your enthusiasm and briefly point out why you are the best candidate for the job. “Whereas we have covered many points about my skills, experience and qualifications, I would also like to mention that I am an avid fan of ongoing professional development training. I have done at least one certification course each year over the last 5 years. This has equipped me with additional skills such as advanced diagnostics and troubleshooting, workflow scheduling and multi-platform integration. “Do you have any questions for me?” – This is a typical question that is asked usually towards the end of the interview. After the interviewer or interviewers have finished asking you the questions that they had during the interview, now is the time for the tables to be turned and the interviewee gets to ask a few questions. This is another opportunity for you to demonstrate your preparedness, skills, creativity, enthusiasm and level of interest in the job that you are interviewing for. A big no-no is to say that you do not have any questions or to say that all your questions have been addressed or answered in the interview. That answer can send the wrong signal. It could also show a lack of interest or lack of seriousness. In addition, avoid asking a question for the sake of asking a question. The interviewer will see right through that. It is also not a good idea to focus on asking about salary, benefits, vacations, time off etc. especially during the first interview. These questions are best left to when a job offer is being made then you can negotiate appropriately. A good strategy for answering the question – “Do you have any questions for me?” is to have 3-5 questions. Aim to ask at least 3 questions and not more than 5. Asking the interviewer too many questions can be a tight-rope to walk on. You need to ask just the right amount of questions – not too few and not too many. Do not go on and on asking a list of 17 questions. Do not turn this interview session into a miniature cross-examination courtroom drama. If you end up grilling and interrogating the interviewer you could risk making them feel uncomfortable and leave a bad impression on their minds. Be humble and respectful as you ask your questions. However, you can also ask clarifying and probing questions throughout the course of the interview. It is a good idea to have a list of at least 10 to 12 questions because chances are some of the questions on your list might be covered or addressed during the interview so you can’t ask them again. Hence the importance of having back-up questions. What is a typical day or week for someone working on this job? What new innovations, changes, processes, systems, ideas or improvements do you expect the new staff to bring to this position? Who does this job report to and what is the preferred management style of the Supervisor? What do you like the most about this Company? How is performance evaluated or measured for this position? What is the biggest challenge that this organization is facing? What are the main goals or key priorities for the company for the next 5 years? What is the top priority or task that the new staff would have to accomplish within the first 30, 60 or 90 days? Finally, also listen carefully during the course of an interview. Take some key notes and be able to comment or ask a question about something specific or important that the interviewer had mentioned earlier. This would show your attentiveness and attention to detail. At the very end of an interview, close by saying that you are definitely interested in the job and then ask – What are the next steps in the interviewing process? 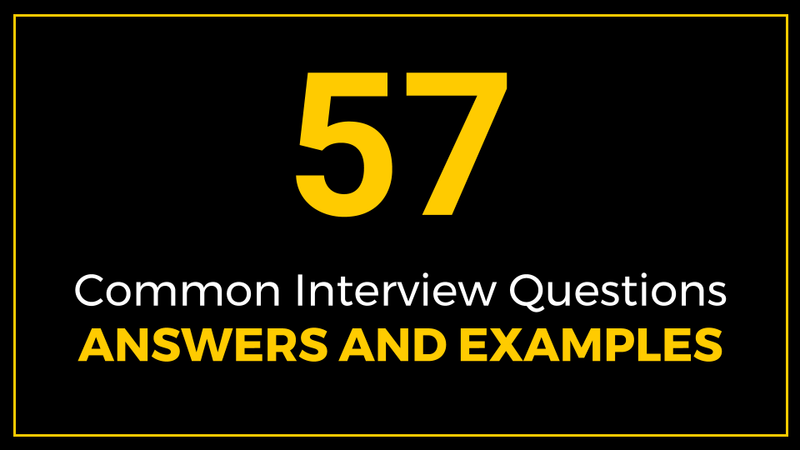 This detailed article guides you through 57 common interview questions, answers and examples. It provides guidance on how to respond to job interview questions as well as describes practical examples of answers for questions such as Tell me about yourself? Why should we hire you? Why are you leaving your job?